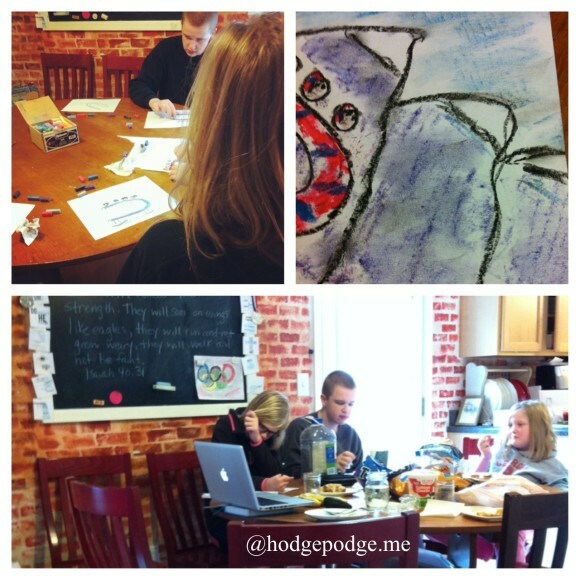 Last week I noticed all the many comforts of homeschool. This week I was struck by the flexibility we have. Tuesday – Little ones are done and off playing. They’ll join us for Olympic studies and science in a bit. When we had two friends visit for the day, the children got half of the day’s school work done the afternoon before. That next morning the children got up early and finished the day’s subjects!! They had the day free to play and enjoy their friends. And we got to help a family and keep up in our school work because of the flexibility of homeschool. When the Winter Olympics are coming up we can incorporate those fun studies with the rest of all the regular. Because it is current events and we want to learn more about it. We can set aside something for a few weeks or simply build in the extra time. A unit study adds so much to our learning and really blends with the rest of all we do. 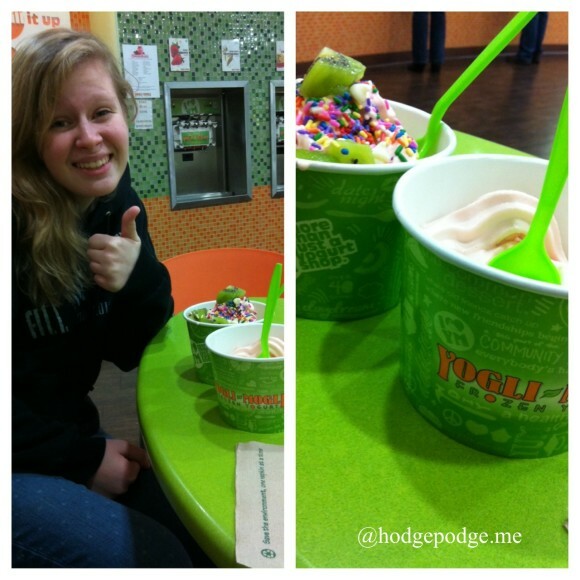 Yogli Mogli with my girl. When I stay up late talking to Eldest Girl, we can sleep in just a bit and start a little later. Because some things like building relationships and getting rest are just that important. 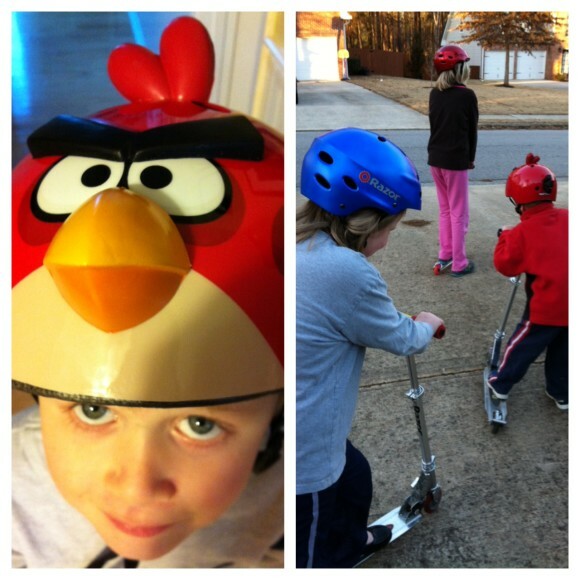 Monday – When we have one warm winter day we can ride scooters lots. Because we know that the arctic blast is coming back and we simply have to get outside! Thursday – When there are days that are completely BURR we can stay in and do some of the favorite winter activities like Lil’ Buddy listed in his Saxon K graphing. Build with LEGO® bricks, read a book by the fire, paint!, have Nerf battles, play and listen to music. And when the noise of the age range is amazing, I have the flexibility to pause and think soothing thoughts. Don’t you think? What flexibilities have you noticed this week? Great week Tricia. Love that brick wall in your kitchen! Enjoy the weekend. Thank you Melissa – That’s a stencil that Nana found! She mixed up the brick color. I love that exposed brick look and it reminds me of a bed and breakfast we stayed in in Florida. We had a beautiful day on Monday and I sent the kids out to play because I knew the polar vortex would be back later in the week! Same here. Monday we were outside in the sun and the rest of the week we are freezing to death. Looks like you had such a great week. I wanted to tell you that I always love your Instagram posts. They are so uplifting to me. 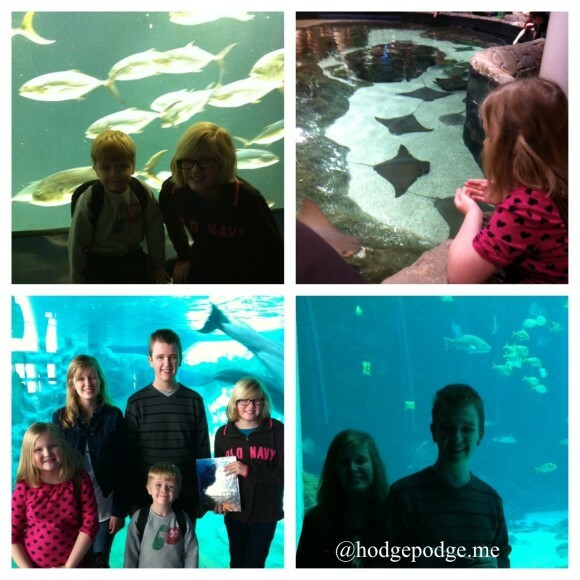 I would love to live near enough to the Aquarium to visit often. We would both love it!! Happy weekend. Thanks so much for stopping by Karen – and I say the same about your instagram photos. Yes, we gotta soak up that sun while we can! I’ve always wanted to go to the GA Aquarium! You MUST – if you get up this way let me know and we will meet there! I love the glimpses of your week. 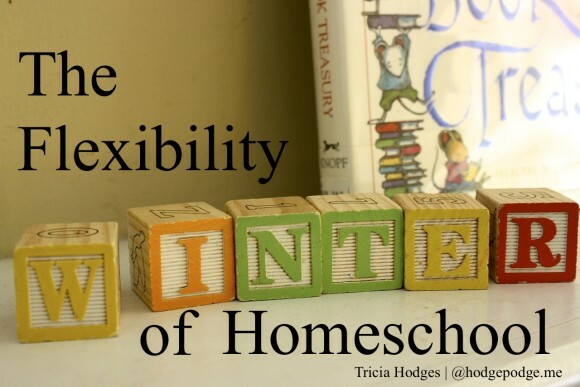 Yes, I have often found the flexibility of homeschooling opens up so many opportunities. Thank you for the Winter Olympics giveaway set! We will make use of it. I am SO excited for you Phyllis!! 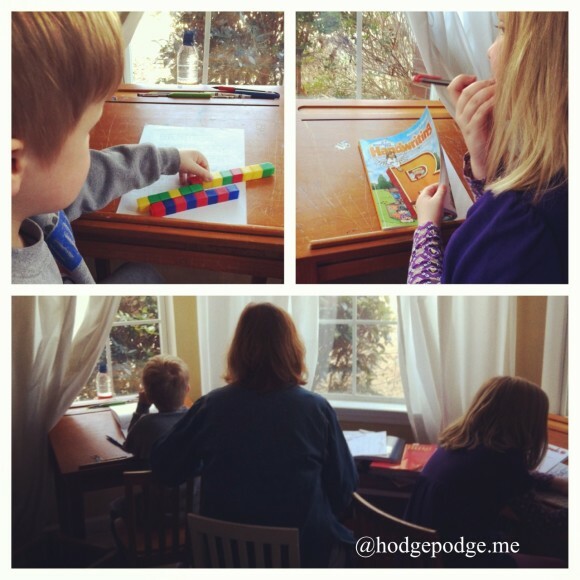 I love, love the flexibility of homeschooling. My husband works odd hours but it’s okay because we can just shift our day around and enjoy him whenever he’s home. Sometimes that means no school until mid-afternoon but our family time makes it worth it! Looks like a lovely week. Hoping your weekend is blessed. THANK YOU for the inspiration! I just spent two hours this morning pouring over maps with my 5 & 11 year-olds, neglecting the rest of the kiddos, talking about geography and all that good stuff that sometimes finds its way to the back burner while we’re focusing on the “getting done” checklists of life. Coming off of that high, your post inspired me to purchase the unit study, and get ready to dig in! I know my 6th grader on down will love it. I can’t thank you enough for the encouragement to be flexible this morning! 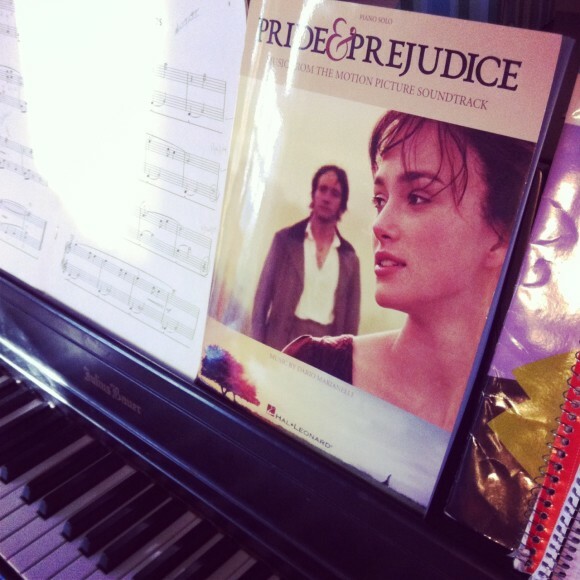 What a great daybook! I love it. And that helmet is the best helmet I’ve ever seen. I wonder if there is an adult size. Flexibility is KEY! So blessed we can hoemschool. So funny- I posted on flexibility this week, too. 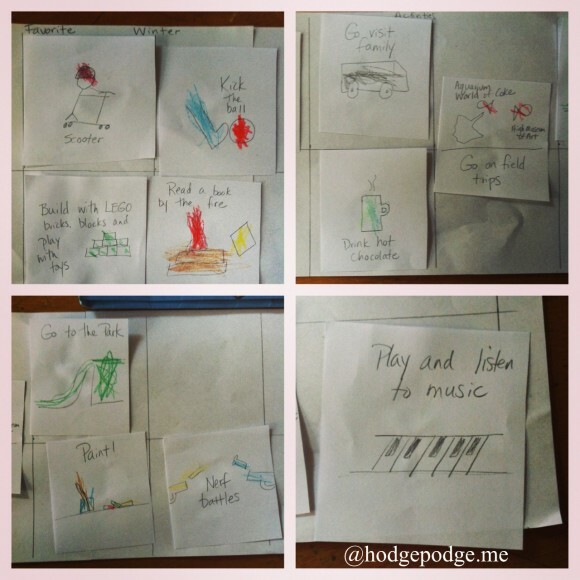 I honestly feel that is the best aspect of homeschooling. I fell into this gig suddenly and unexpectedly but I am loving it. I feel badly for my friends who are married to the B & M school hours and schedule. This flexibility is wonderful. Thanks for sharing your week with us!